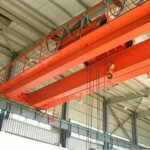 As a top-notch bridge crane manufacturer, there are various types of 5 ton overhead cranes available, ensure to meet all your different requirements. The 5 ton overhead crane price we offer for you is at factory price. And with a surging economy, the country has implemented the One Belt& One Road Initiative. Thus to respond to such policy, we have made price preferences for the countries which have been taken into this initiative, such as Singapore, Russia, Oman, the US, the UK, Australia, Pakistan, Korea, and Indonesia, etc. If you need a 5-ton bridge crane for your metallurgy industry, your coal mine, workshop, garbage workstations, and garage, we can meet all your requirements. 5 ton overhead crane is a kind of light duty small crane widely applied in different kind of working environments, selecting a reliable overhead bridge crane supplier is very important for your industrial. Ellsen Overhead Bridge Crane Factory is both a crane supplier and manufacturer with its own crane factory, thus the company always can provide you with its excellent crane products for you. In addition to 5-ton bridge crane, 1 ton overhead crane, 2 ton overhead crane, 3-ton bridge crane, and 10-ton bridge crane are also our hot products. Whether you need the standardized overhead crane or personalized crane exclusively for your own industry, the crane factory can customize for your personal requirements. Among different crane orders from our crane clients, six in ton are customized cranes from our factory, and all of them are highly recognized by our customers. Customized cranes are special services of our company. Sometimes, customers just start up their business, they do not know what kind of a crane is suitable for their workstation, or they have no experience in crane purchasing, thus our professional crane engineers can help them out. To provide you with a crane perfectly meet your demands, we need you to provide us with details about the cranes you need in capacity, specifications, drawings, and the working conditions or factories. Ellsen crane engineer can provide you with a customized crane solution for your confirmation, then we will deliver it to our factory to manufacture the customized crane you need. Such a customized crane is exclusively for your industry. As an integrated crane manufacturing and supplying company, there is no third party or crane agents involved, thus all of our crane products are at factory price level for you. The crane factory always has discount activities for celebrating key festivals of both in our own countries and foreign countries. 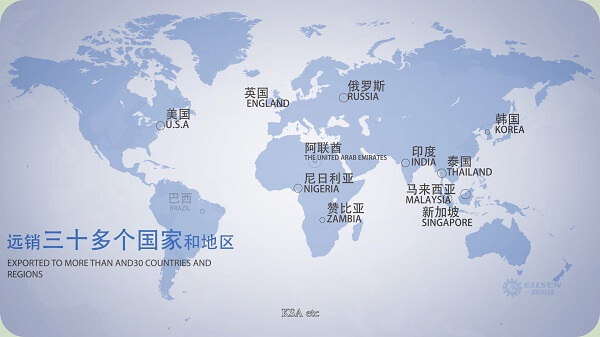 With open-up foreign policy, the factory also goes out serving clients all around the globe. Therefore, if you need an overhead crane five ton at a lower price level, you shall never miss this piece of information the company discloses to you. Crane experts are the core power of our Ellsen overhead bridge crane factory, they can solve problems for both you and our own factories. 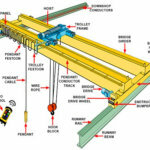 When you need a customized crane, they can design a crane solution for your reference. When the crane you need that requires our factory tailor for you, they can also provide suggestions for our factory. 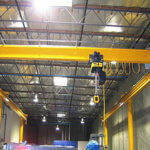 To provide you with a perfectly matched and cost-effective crane, they will offer you crane selection tips for you. If you need crane installation services and operator training or crane maintenance services, the crane expert team also provides you with its professional knowledge for you. 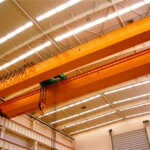 In Ellsen, we manufactured different types of 5 ton overhead cranes for you; e.g. the explosion-proof 5 ton overhead crane for a coal mine, or any factories with combustible working environments; the 5-ton electromagnetic crane used for steel billet; 5-ton ladle crane for steel mill casting. If you need a crane with higher working performance, we can provide you the Euro Standard Overhead Crane 5 ton for special usage. You may also need 5 ton bridge cranes paired with different parts, such as the forge hooks, then here in Ellsen, we can provide you our hook overhead cranes 5 tonnes; or you may need 5 ton mobile cranes with magnet; either type of overhead crane with any capacity for any working environment, once you have such needs, we can make them available for you to selection. 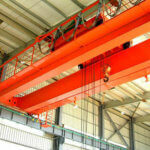 Right here below, we recommend you the following types of the overhead crane 5 ton. QD model 5 ton hook overhead crane is commonly used indoor room working conditions, such as warehouse, workshops or small working conditions. One of the big highlights of the crane is the crane have dual working classes: A5 and A6, which means the 5-ton bridge crane with 5 ton can be used for many types of working environments such as the workstations, warehouses for lifting heavy duty materials. This kind of hook bridge crane is very flexible in operation. Its cap entering platform has three ways to realize, from the side, end and the top. The cab installation or configuration can be customized for your facility, either on the left or right side of crane once you need, our cranes’ engineer will tailor it for you. This kind of hook crane can be configured with double hooks or single hooks according to your actual requirements. 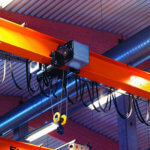 The crane hook configuration can be customized for your industrial working environments. Apart from the hook overhead crane 5 ton, you can have your own ideal customized overhead crane with other capacities, here we recommend the following capacities we have customized for our customers, such as the 10 ton QD Overhead Crane with Hook, the 16/3.2 ton bridge crane with double hook, and other double hook overhead cranes with capacity of 20 ton, 32 ton, 50 ton, 75 ton, 100 ton,125 ton, 150 ton, 200 ton, 300 ton, till to the customized 400 tons overhead crane with double hook, any tonnes of hook cranes you that want welcome to contact us. With the 5-ton grab overhead crane, you can lift heavy loading materials, you can have easy work in your plants, shops, workstations, ports, etc. 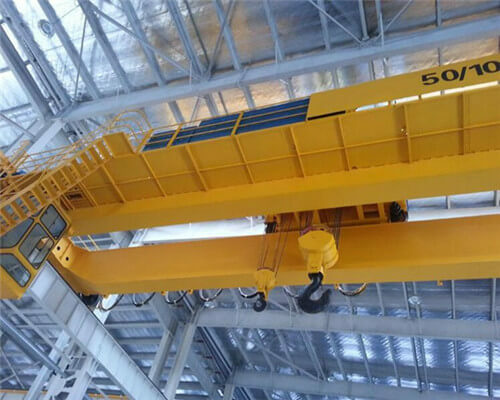 It’ s a kind of heavy-duty loading material handling crane, with the aid of the QZ 5 ton overhead crane with a grab, it can release you from the pain lifting work. The heavy-duty bridge crane’s working performance is higher than any other general overhead cranes, with A6 working class, it can be frequently used any working conditions. The direction of the platform is for the driver’s cap is side, end, and top. It’s lifting capacity includes the grade weight. The open grab direction includes: paralleling with the beam and plumbing with the beam. Except for the 5-ton grab bridge cranes, we can also offer you QZ grab overhead crane 10 ton, 20-ton grab overhead crane, 16t QZ overhead crane with a grab, or customized grab cranes according to your specific needs. Grab crane from Ellsen, is kind of a professional crane for special working environments, such as the garbage factory, and the grain workstations. This kind of crane both has double girder one and also the single girder one. In terms of the crane configured grab will be in alliance with your working environments, both have single grab and the multi-grabs for your reference. For customers’ foundry industry facility, we can also provide you with our casting bridge cranes. The casting bridge crane is the major material handling equipment for steelmaking and continuous casting process in the metallurgical industry. This kind of casting overhead crane is mainly used for lifting and transportation of liquid steel ladle. 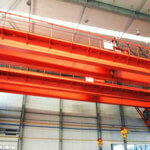 Purchasing our nice foundry overhead crane 5 ton, you can also have the following benefits:1. Select the rotary spreader. 2. The gantry hook from the variable.3. Load weighing and display. Using high-quality components can reduce the failure rate and maintenance costs. Lowing consumption of total power can reduce the costs, which has a remarkable energy-saving effect. 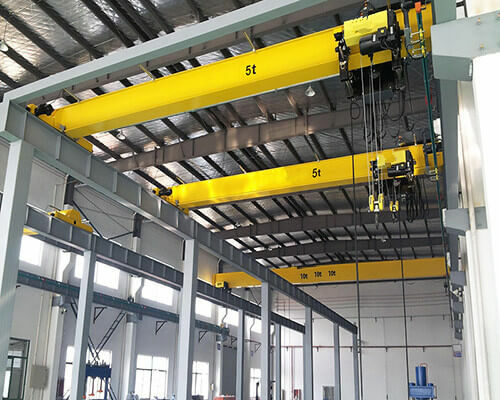 Euro standard overhead bridge crane from us is one of a lifting equipment meeting for European countries with higher configuration and excellent specification. 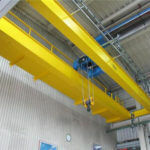 The cost of the European standard bridge crane is usually higher than other types of overhead crane for general usage. In Ellsen, we can serve you different kinds of Euro-standard cranes configured with double girder and single girder. Customized service is also available at a cost-effective level. QY model 5-50/10t insulting overhead crane with hook is applicable to a workshop where smelting electrolytic ferrous metal, such as electrolytic magnesium. The overhead crane 5 ton is composed of box bridge, inning gear of crane, trolley, and the electrical device. Several insulating apparatuses are mounted at proper parts of the crane o prevent the electric current of the energized equipment transmitting to the crane through the lifting hook during operation, which will danger the life of drivers and the equipment’s safety. The QY insulting bridge crane with hook 5 ton is the heavy-duty crane too. The dual actuator is equipped with the main mechanism for safe hosting. All mechanisms shall be operated in the cap. 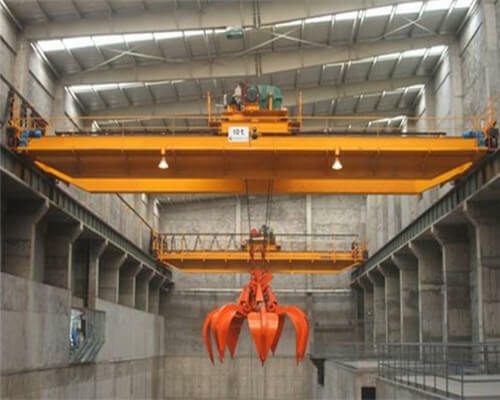 This kind of hook crane is widely used for plants which are a high configuration crane for special working environments. As to the working standard of this hook, it is higher than another kind of traditional bridge cranes. 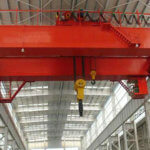 Thus, the hook crane price is a little expensive for a high cost in manufacturing. Any kinds of overhead cranes 5 ton, whether single girder or double girder structure or customized one, welcome to contact us.